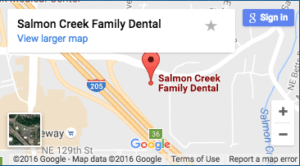 At Salmon Creek Family Dental, the best family dentist Vancouver WA has, we want all of our patients to enjoy the very best oral health. That’s why Dr. Nelson, your trusted Vancouver dentist, wants to educate every patient on the dangers of smoking when it comes to your oral health. If you smoke, you probably already know the serious long-term health consequences the habit can have on your heart and lungs. While it’s easy to view these long-term problems as avoidable due to a lack of any outwardly noticeable symptoms, the impact of smoking on your oral health has a more immediate and apparent effect. While each of these conditions can negatively impact your oral health, the development of gum disease can have the most immediate impact on the health of your teeth and gums. Smoking or the use of any other type of tobacco products can directly lead to the development of gum disease by damaging how bone and the soft tissue of your gums attach to your teeth. Research suggests that smoking interferes with how your gum tissue cells normally function. Not only does this interference causes smokers to become more susceptible to periodontal disease, it also limits blood flow to the gums, which causes wounds to heal more slowly. According to the American Dental Association, 75 percent of all cases of periodontal disease relate in some way to smoking. A common misconception exists that since cigarettes generally contain more chemical additives than pipe or cigar tobacco, smoking either of these means fewer potential health concerns. However, just like with cigarettes, smoking cigars or pipes will eventually lead to oral health problems. A study conducted over a 23-year period found that cigar and pipe smokers suffer from tooth loss and jawbone degeneration at the same rate as those who smoke cigarettes. Even though they don’t inhale, pipe and cigar smokers still have an increased risk of developing oral or throat cancer, and suffer from stained teeth, bad breath, and periodontal disease. When it comes to your oral health, smokeless tobacco can cause even more damage than smoking any type of tobacco. Smokeless tobacco contains a minimum of 28 chemicals that studies have shown directly leads to an increased risk of oral and throat cancer. Most smokeless tobacco also contains more nicotine than either cigarettes or pipe tobacco, making it more difficult to give up. Additionally, because smokeless tobacco comes into direct contact with gum tissue, it causes increased irritation that leads to gum tissue receding away from your teeth. This causes the roots of your teeth to become exposed, which increases the risk of developing tooth decay. Exposed tooth roots also cause tooth sensitivity to hot or cold stimuli, making it more difficult to eat or drink. Smokeless tobacco producers also frequently add sugar to their products to improve flavor, which further increases the risk of tooth decay. In fact, the findings of a recent study published in the Journal of the American Dental Association found that smokeless tobacco users were four times more likely to suffer from tooth decay than non-users. The product also tends to contain grit and sand, which wears away tooth enamel when placed along the gum line. While brushing and flossing daily generally help to ensure the health of your teeth and gums, smoking can dramatically reduce the effectiveness of these two habits. To ensure you enjoy a lifetime of quality oral health, it’s imperative that you quit smoking immediately. While this always remains easier said than done, the affect smoking can have on your smile provides just one more reason why to quit.